Criminology has a long and distinguished tradition at Kent with its research base in the Crime, Culture and Control Cluster. In this talk, Dr Marian Duggan discusses her current research project which is an analysis of how the Domestic Violence Disclosure Scheme (also known as ‘Clare’s Law’) is operating in Kent. Billed by the Government as a domestic violence ‘prevention policy’ and regularly referred to in the media as a ‘success’, she evaluates exactly how this scheme is operating in practice, whether it is achieving its aims of violence prevention and how useful a tool it is in reducing the average of two women a week who are killed in the UK as a result of domestic violence. advanced criminological theory and research methods as applied to crime and criminal justice. It also offers opportunities for you to develop your career in the areas of criminal justice, policy development and academic research. We are constantly developing the modules available to you in line with current issues and staff expertise. Each year we announce new choices, for example we are currently working on developing a module convened by Dr David Redmon which looks at documentary film-making from a social science perspective. The following modules are indicative of those offered on this programme. This list is based on the current curriculum and may change year to year in response to new curriculum developments and innovation. You will be required to study a combination of compulsory and optional modules. You may also have the option to take modules from other programmes so that you may customise your programme and explore other subject areas that interest you. In the late modern period we are presented with an extraordinary wealth of criminological theory. Past and present paradigms proliferate and prosper. This course examines these theories, placing them in the context of the massive social transformations that have taken place in the last thirty years. It is not concerned so much with abstract theory as criminological ideas, which arise in particular contexts. It aims, therefore, to situate theories in contemporary debates and controversies and allows students to fully utilize theoretical insights in their criminological work. In particular we will introduce the current debates surrounding cultural criminology, the debate over quantitative methods and the emergence of a critical criminology. This course introduces students to the logic and methods of social research. The course aims to familiarize students to central topics in research design, the methodological choices necessary to address in designing social research and the ethics of social research. The module introduces students to both positivist and critical/interpretive approaches and the debates behind their selection for conducting research. Students will be versed in the scientific approaches to social research, including both qualitative and quantitative approaches. The module aims to provide students a robust understanding of social research methods and the decisions needed to write up a research proposal. Critical criminology constitutes a broad and multi-disciplinary tradition that studies the complex relationships between crime, control and power. The module will aim to acquaint students with the richness of writings in this field, the variety of political positions and the development of different traditions in the UK, US and the European continent. Critical criminology has also taken a recent interest in the processes associated with globalisation, thus giving rise to an emerging sub-discipline, global criminology. The module will also examine how this allows new understandings of crime, power and control, which link the global to the local. Various theoretical perspectives will be encountered, including those of new deviancy theory, Marxism, Foucauldian thought, left realism, abolitionism, social harm perspectives and, more recently, cultural criminology. This module provides Masters students with a criminological, sociological and cultural understanding of drug use and trade. It will be divided into three parts: the first will explore the cultural contexts of illicit drug use within modern society; the second will offer a detailed analysis of current and potential methods of drug control; the third will consider and evaluate practical issues facing the drug policy makers of today. Throughout the module curriculum, effort will be made to consider methods, issues and policies in a global, as well as national, context. Particular emphasis will be placed on the theoretical arguments underpinning the major debates in this field and up-to-date research will be drawn upon throughout. This module is concerned with developing a sophisticated understanding of the contested meanings underpinning crime and its control and the manner in which such meanings are intertwined with various different cultural phenomena. The module explores the complex patterns and sites of contest, control and resistance that bisect everyday life. This is achieved through engaging in a detailed consideration of cutting edge theory and research in the fields of cultural and visual criminology. The module will place criminality, policing, crime prevention, music, photography, emotionality, extreme sports, advertising, protest, war, physicality and the film in new and exciting contexts. The module equips students with the necessary theoretical tools and modes of social inquiry to make sense of a late-modern world permeated by crime and its control. Social theory is a nebulous field of inquiry with fuzzy boundaries. Some of the most significant contributions to it in terms of ideas and concepts have historically originated in the work of thinkers diversely identified with a wide range of disciplines - such as psychoanalysis, philosophy, anthropology, literary and aesthetic theory, historical and cultural studies, as well as with sociology. This module approaches contemporary social theory by exploring a set of themes through close readings and analyses of several texts by 20th and 21st century theorists whose work has been to varying degrees appropriated across the social sciences and the humanities, but yet whose contribution to ‘social theory’ per se is still open to question, in any case far from canonical. In working through these selected primary texts within a seminar group, the aim is to critically investigate and evaluate what they offer to social theory, and to critically assess their usefulness for understanding various social and political phenomena characteristic of contemporary life and society in a globalised world. During the course of such detailed discussions, we will also, no doubt, reflect on the distinction between modern and postmodern social theory; the ‘linguistic turn’, the ‘cultural turn’, the ‘ethical turn’, the shift from narrative to image based culture, and other general parameters of social theorizing in recent times. This module examines the way work shapes society and in turn how society shapes work. Drawing on the fields of sociology, cultural sociology, social policy as well as other disciplines this module explores work in a variety of competing and complementing ways and in doing so offers students a chance to appreciate different themes, issues, methodologies and approaches. These include work identity and meaning; age, generation and class; visual methods and approaches; the cultures of work; work/life balance and the end of work. 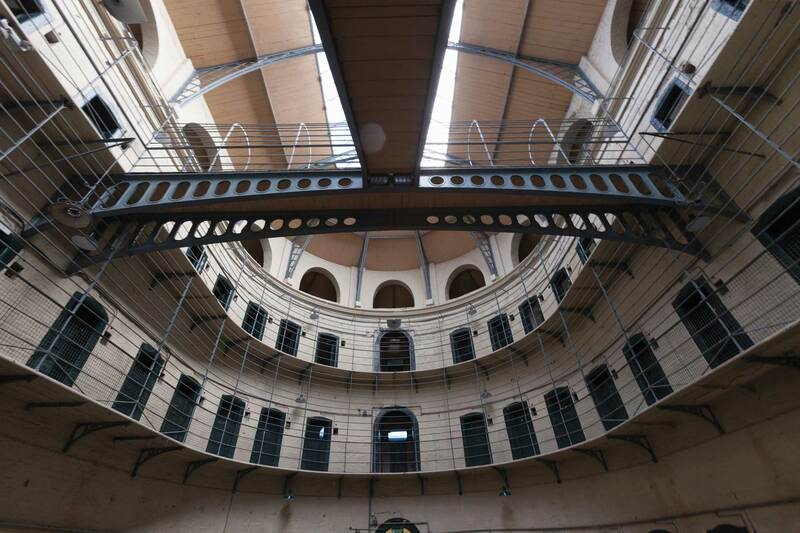 This module will examine the emergence and development of the modern prison in the light of the This module will examine the emergence and development of the modern prison in the light of the major social and economic changes that have taken place over the last two hundred years. It will examine the changing functions of the prison over that period and will look at the development of community based sanctions and alternatives to custody. It will then examine the reasons for the growth of imprisonment in the post war period and in particular its rapid increase on both sides of the Atlantic over the past two decades. It will examine the issues of gender and race in relation to prisons and penal policy and examine the key debates concerning the changing composition of the prison population. It will then go on to look at penal reform and in particular the impact of privatisation on the prison system. This module offers a critical study of policing from historical, legal, political and social perspectives. It focuses primarily on policing in the United Kingdom, with other appropriate jurisdictions (including the European Union) being used for comparative purposes. This module will examine the ways in which violence is understood in social science research, and will provide advanced discussion of the major theoretical and research themes involved in the analysis of violence. It will critically examine data on the prevalence, nature and effects of violent crime, and will consider issues of violence, aggression and masculinity. This will be done with particular reference to examples, such as racist crime, homophobic crime and domestic violence. The module will approach violence from both interpersonal and societal perspectives and will include consideration of collective violence and genocide. It will further examine solutions to solutions to violence and conflict resolution, the effects of intervention strategies and non-juridical responses to violence. This module explores key issues, debates and controversies in the cross-disciplinary study of terrorism and political violence. Since 9/11, terrorism and jihadist violence in particular has become one of the most contentious and politically charged issues of our time. Yet it remains poorly understood, in part because of the contention and consequent polarization surrounding it, but also because of the methodological challenges in researching the individuals and groups involved in terrorist activity. One of the core aims of the module is to help shed a light on the challenges - methodological, practical and ethical - of researching an issue saturated in danger, secrecy and stigma. What is terrorism and how should it best be defined? Why does the term "terrorism" carry such a potent stigma? What are the master cultural and intellectual narratives for thinking about terrorism and terrorists? Does it make sense to talk of "the terrorist" as a category of person, and what are the problems inherent in efforts to "profile" those who engage in terrorism? What do terrorists and terrorist groups want? Is terrorism rational? What is suicide bombing and what explains it? How do terrorist rhetorically frame the use of violence against civilians? What is ISIS and is it Islamic? What is radicalization and how should it be conceptualized? Can terrorism ever be morally justified? The purpose of this module is to provide a framework for thinking about these and other crucial questions about terrorism and political violence. This module examines gender and crime in a globalised world. Several core themes inform the international exploration of crime, victimisation and justice, including 'race', class, age, sexuality, locality, economics, politics, power and discourse. The module offers students the opportunity to engage with a broad range of internationally classical and influential bodies of literature spanning feminist and critical criminology, masculinities theories, victimology, queer theory and globalisation. Men and women as victims and offenders will be examined through a gendered lens to assess how culture, discourse and identity function to enhance or diminish vulnerability to criminalisation, victimisation and injustice. Underpinning these analyses are notions of power, which prove central to considerations of the extent to which globalisation informs patterns of gendered offending, victimisation and access to justice. First, to provide students with the opportunity to independently carry out an in-depth inquiry to investigate a research question(s) of their choice, producing a coherent review of the relevant literature, a logical discussion and a clearly communicated set of conclusions in the form of a dissertation. Second, to prepare students to become ‘research-minded’ practitioners in order that they have the capacity to undertake research in practice settings and/or take a lead role in supervising others in such work. In mid-November, there will be a two-hour workshop, which will outline the aims, the structure, the process of the dissertation. During the spring term, the students will finalise their proposal with their chosen supervisor. If the dissertation requires ethical research approval, an application will be submitted to the school research ethics committee by the beginning of the summer term. During the summer term and vacation, students will meet their supervisor every fortnight to discuss the progress of their dissertation. The supervisors will provide feedback on written work and will set monthly work plans and targets for the students. The dissertation topic will relate to a key question, issue and problem within social science. Assessment is by six coursework essays and the dissertation. build on the University’s close European ties by providing the potential for students to participate in the European Common Study programme in Criminology. patterns of social diversity and inequality, their origins and consequences. understand the nature and appropriate use, including the ethical implications, of diverse social research strategies. an ability to communicate sophisticated and complex theoretical ideas to a critical audience. qualitative methods of data analysis: archival and documentary research, interpretation of texts, the use of electronic search materials appropriate for criminological analysis. Personal career development: you are encouraged to proactively manage your own career progression and we will support you in developing your skills in researching and retrieving information on opportunities for internships and employment and continuing personal and career development. Building on Kent’s success as the region’s leading institution for student employability we place considerable emphasis on you gaining specialist knowledge in your chosen subject alongside core transferable skills. We ensure that you develop the skills and competences that employers are looking for including: research and analysis; policy development and interpretation; independent thought; writing and presentation as well as time management and leadership skills. You also become fully involved in the professional research culture of the School. A postgraduate degree in the area of Criminology is a particularly valuable qualification that can lead to many exciting opportunities and professions. Recent graduates have gone on to pursue careers across the criminal justice system, encompassing areas such as counter-terrorism, advocacy, probation, social policy and research. Our graduates have found positions in organisations such as the Civil Service, the Ministry of Justice, various police services and the Probation Service. the cultivation of external links with Research Councils, graduate schools and other organisations, both nationally and internationally, to provide further funding and study opportunities. For more details see our Graduate School page. Our postgraduate students are given 24-hour access to dedicated office space within the School and are able to take advantage of excellent library and computing facilities. All Canterbury-based Kent postgraduate students are offered the opportunity to add an international dimension to their criminological study by participating in the Common Studies Sessions in Critical Criminology. This student-led event provides the opportunity to exchange ideas and deliver papers on topics relating to critical, cultural and international criminology at a bi-annual conference run in collaboration with Kent’s international criminology partners, which include Erasmus University, Rotterdam; the Universities of Barcelona, Bologna, Ghent, Hamburg, Middlesex, Porto and Utrecht; ELTE, Budapest; the Democritus University of Thrace; the University of the Peloponnese, Corinth; and the CUNY Graduate Center, New York. The Common Study Sessions are hosted in turn by each of the participating institutions. Staff publish regularly and widely in journals, conference proceedings and books. Among others, they have recently contributed to: The British Journal of Criminology; Urban Studies; Theoretical Criminology; Crime, Media, Culture; Ethnography. The School has a long-established tradition of conducting criminological research. The group covers a diverse range of topics, employs both qualitative and quantitative methodologies and draws upon different theoretical traditions. We have particular expertise in the following areas: cultural criminology; crime, punishment and social change; drug use; gender, crime and criminal justice; penology and imprisonment (especially of female offenders); policing; quasi-compulsory treatment for drug-using offenders; race, crime and criminal justice; restorative justice and young offenders; crime and the ‘night-time economy’, terrorism and political crime; violence; youth crime and youth justice. Present and current research has been funded by the ESRC, the Home Office and the Youth Justice Board. Photographic theory; spectacle; radical criminology; cultural criminology; critical visual culture; post-structuralist critical theory; desire and power; the micropolitics of fascism. 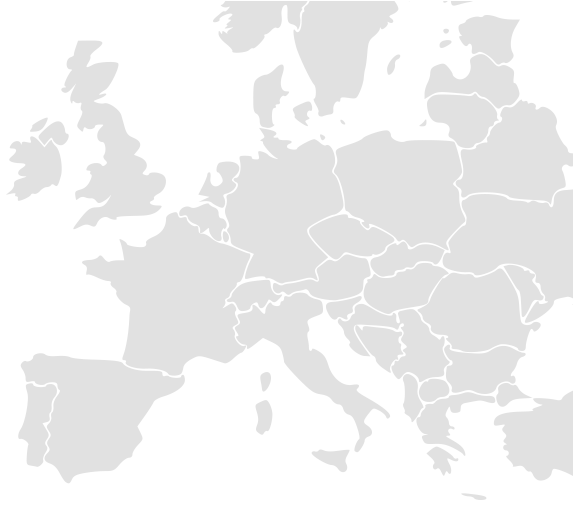 European drug policy; young people and victimisation; drug use and subcultural studies. Sociology of crime and deviance; sociology of intellectuals; terrorism and apostasy; coercion; political violence. How research and theory can inform policy and practice in reducing sexual, gendered and hate-based victimisation. How political debates around law and order have affected responses to crime; quantitative analysis of crime data, especially the relationships between crime and fear of crime with wider economic and social changes; evaluations of new interventions and crime reduction strategies; policing; youth crime. Penology, community safety and crime prevention, prostitution, armed robbery, punitiveness, left realism. Recent publications include: Prostitution Politics and Policy (2008); Doing Time: An Introduction to the Sociology of Imprisonment (2009). Sociological theory; globalisation; race and ethnicity; violence. Ethnographically recording experiential encounters and rendering expressivity with audiovisual and written mediums and using media to depict the experiential life of animals, objects, places, and people within haptic, somatic and physically tactile modes of expression. Criminological theory, risk and governance, youth crime. Youth crime; youth justice; politics of crime; criminal justice policy-making. The politics and practice of criminal justice, with a specific emphasis on national and international drug policy, youth justice, gangs, organised crime, probation practice and the use of evidence in policymaking.